NFE provided the City of Birmingham with surveying and civil engineering services for the 1.12-mile concrete roadway reconstruction project of Pierce Street and Merrill Street in downtown Birmingham. 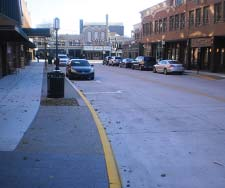 The roadway reconstruction project included water main, combined sewer and storm drain utility upgrades, and streetscape improvements. 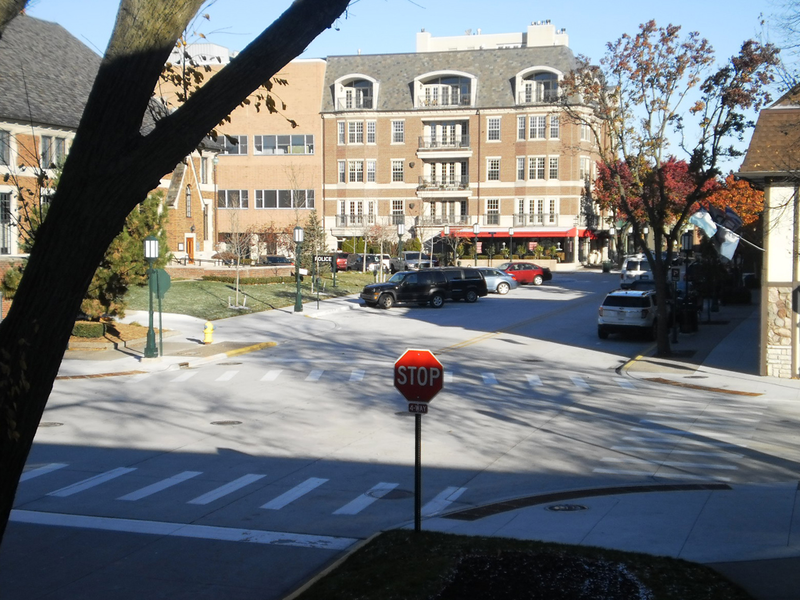 The streetscape improvements included sawcut concrete sidewalk, exposed aggregate sidewalk, and upgrades to street lighting, all in coordination with the improvements previously made in the downtown streets surrounding City Hall and Shain Park four years before. NFE was lead consultant and provided a wide range of services. Preliminary engineering included right-of-way and topographic surveying, and preparation of roadway construction plans and specifications. Construction engineering included construction layout and construction staking. Post construction engineering included as-built surveying of constructed utilities and associated updates to the utility mapping on the City’s Geographic Information System (GIS). The project was selected for the 2013 American Public Works Association (APWA) Detroit Metro Branch Award in the Transportation Category, less than $5 million Division. Also, it was awarded the 2013 Michigan Concrete Association Award of Excellence in the Urban Arterials category.